Where is your College located in relation to the Capital of your state/territory Mackay is approximately 2 hours North of Brisbane. A community that seeks to improve in every way each day. Sustained growth in enrolments and the link to wider economic factors. Where is your College located in relation to the Capital of your state/territory Mackay is approximately 1000km North of Brisbane (best to fly!). Known as the 'Sugar City' we are green and tropical most of the year. Talking to people. I learn so much just listening to the insight of others. That the place would function perfectly well without me, and that the whole range of student abilities can, and do, experience success here. Staffing - A continual concern. Jobs and career advancement exist North of Noosa but the vast majority of teachers are unwilling to venture North. We do remarkably well despite this. There is however excellent local support for our Catholic schools. Catholic brand has experienced a lot of collateral damage over the last decade. In addition to transparent child protection processes, we need to project a strong image of the fact that we have great schools for kids to thrive and learn. Remaining competitive so that we continue to attract enrolments. Maintaining our Catholic identity and sustaining our good reputation in catering for families who want a Catholic education. What was your role prior to taking up this appointment Principal of Trinity Catholic School, Leamington Spa, Warwickshire, UK. The enthusiasm of staff and students to make the school great in every way is really palpable and Im really proud to have joined that journey. Mary MacKillop has a very strong focus on social justice as Mission, Witness and Ministry. Competition in a crowded market place and increasing secularization of society meaning that the Catholic school has to re-affirm itself. Competition in a crowded market place, and increasing secularization of society meaning that the Catholic school has to re-affirm itself.. In the light of funding models, how can Catholic schools maintain their place in the education sector as a value for money option for families (especially for the struggling, the recent refugee arrivals and families that experience trauma). What is the nature of your College Prep to Year 12 Boarding Co-educational. 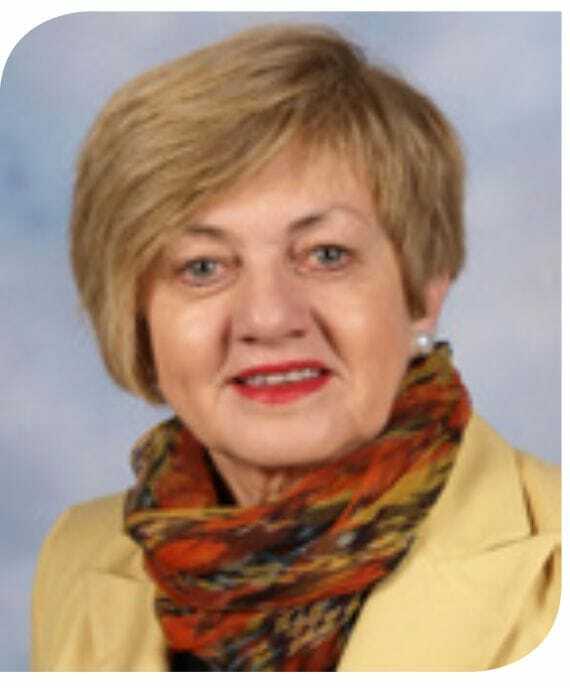 What was your role prior to taking up this appointment Deputy Principal, St. Benedicts College, Mango Hill. 1. Long tradition of Catholic Education in Charters Towers - over 140 years. 2. Boarding College servicing graziers and outlying families across North Queensland. 2. The living and teaching of the Religious Education Curriculum in an ever increasingly secular society. Where is your College located in relation to the Capital of your state/territory . St Catherine's Catholic College is located in Proserpine Whitsundays, 20 minutes from Airlie Beach. What is the nature of your College St Catherine's is a K -12 Co-Ed Systemic School. It is part of the Townsville Diocese. I have only just started, but I really enjoy building community, Knowing the parents and the students, empowering staff to grow professionally and sharing in the successes of our students. That is is open to all and that it has a strong sense of community. We also have a strong culture of students wanting to succeed. Enrolment numbers fluctuate each year. Many of our older students choose to go to the local government school for Years 10, 11 and 12 because they do not want to do religious education as a timetabled subject. This means that we have very small numbers graduating in Year 12. The parents in this community often allow the students to make the decision as to which school they will attend. Where is your College located in relation to the Capital of your state/territory On the Sunshine Coast, about 100km north of Brisbane. How many students The College is opening in 2019 with approximately 180 students in Prep to year 3 and year 7. The College will grow to 1500 students in 8 to 10 years. Helping young people achieve to the best of their ability and take their place in the world. The staff of our new College has really come together and have started to forge a real and tangible Catholic Identity. Their enthusiasm for the new roles and willingness to be part of the development of the College culture is really inspiring. 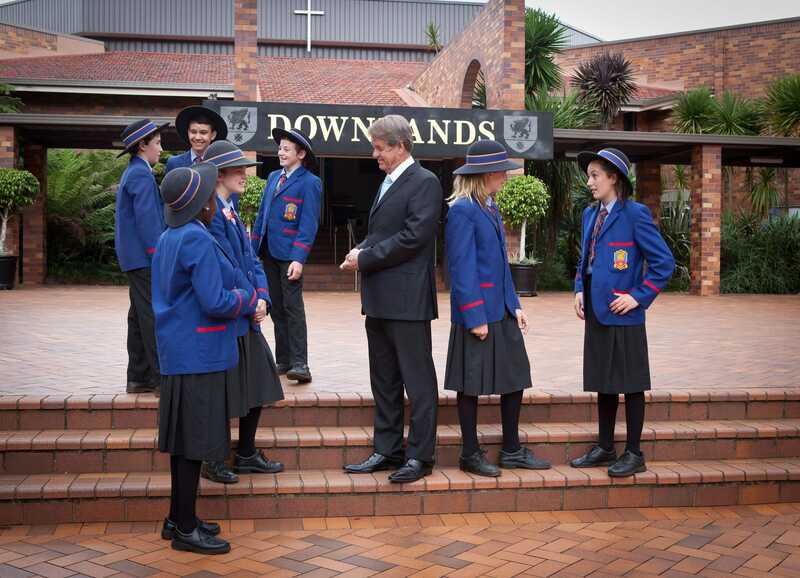 Meeting the demand for Catholic education in this fast growing area of South East Queensland has its challenges. As a new school, establishing relationships with other schools, local community and businesses is also a challenge. Maintaining our Catholic identity in the face of a more secularised society and ensuring that we remain true to the mission of our schools. Affordability of Catholic schools for families, especially the most needy, will continue to be a significant issue as the funding debate continues. The culture of inclusion and the learning culture. Our area is an area with many high performing schools. Our challenge is to remain authentic to our mission. Funding is a major issues as is a decline in Catholic Identity. Helping to build a College that meets the needs of the community now and into the future. The warmth of the community and the welcome I have received. The loss of loyalty to Catholic schooling by parents and the need to be strong on how we differ from state schools which also offer excellent educational opportunities. Moving from a culture where parents automatically sent their children to the Catholic school to one where they do not have that sense of loyalty, and how we respond to that individually and collectively. The challenges to the Catholic church and loss of trust in the institutions of the church. Meeting with students and discussing their learning pathways. Developing the skills of staff through enhancing autonomy and accountability. How are we, as Catholic schools, responding to the Royal Commission and how do we make sure that we don't lose parents due to aspects committed by the Catholic Church Leaders and as lay leaders within that system, we don't get blamed..
Our developing and growing culture as an Ecumenical College on the Sunshine Coast. Managing rapid growth within the area and the pressures on demands for enrolment and building of facilities. Appropriate Government funding for all schools. Watching the students develop pride and confidence as they achieve. The College caters for some of the state's most damaged and vulnerable boys. Isolation attracting staff in some key areas. How many students 2019 will be the foundation year for the school. We will begin with Years Prep-3 and Year 7 in secondary. By foundation Senior Year it is projected the school will have an enrollment of 1850. Firstly, that we are a school to be founded on the Josephite charism and as such have the opportunity to build a modern Catholic school centred on inclusion, excellence and service. These values exemplified by the work of St Mary of the Cross Mackillop will deliver the opportunity to shape a community with the motto "Courage to Love, Learn and Serve". Secondly, that this is a new journey and foundation P-12 school in a significant area of growth in South east Queensland. As with many Catholic schools engaging families and young people in a faith and school community, when societal pressures and demands are so high, is very challenging. As such ensuring we grow as an authentic and valuable presence in their lives, and that of their children, will be a difficult but highly rewarding opportunity. Additionally, there are many challenges associated with being a foundational school and establishing your presence, purpose and credentials within a new and growing area. The changing nature of Catholic identity where an increasing number of students and parents are not churched. Where is your College located in relation to the Capital of your state/territory Yeppoon is a regional centre in Central Queensland and is approximately 650km north of Brisbane. Ability to be available and present to support and mentor staff within the college. Being able to advocate for students and support their journey through their life at St Brendan's College. Our extensive range co-curricular offerings such as rodeo, shooting, a wide range of sports, music, art, debating, chess and horse riding. Vast curriculum offerings which include 9 VET certificates taught by knowledgeable staff who support the students in achieving their full potential. Continuing to be a school of choice and remaining at the forefront of offerings. Also being challenged to remain authentic to the Blessed Edmund Rice Charism in all that we do. Staff having knowledge of Catholic traditions and teachings. Ongoing funding of the education sector. Where is your College located in relation to the Capital of your state/territory Gladstone is a regional centre in Central Queensland and is approximately 550km north of Brisbane. (b) the opportunity to be build community with parents and with staff as well as the opportunity to foster strong relationships between the College, the local parish community and also with the wider regional community. Chanel College is a school which truly 'lives out' its motto to "To live justly". The call to be a people of hospitality, outreach, and compassion is clearly evident in the daily life of this educational community. (b) the imperative that our students have access to the same standard of educational and vocational opportunities as do their city counterparts. (b) ensuring that we remain at the cutting edge of curriculum design and development, pedagogy, pastoral care practices and that we create cultures which reflect on practice and dare to embrace the challenge to continually evolve our structures and practices in light of evidence-informed research. Where is your College located in relation to the Capital of your state/territory Toowoomba Regional City Centre. West of Brisbane. Enrolling students and following their journey. Very highly competitive nature of the Darling Downs education sector. 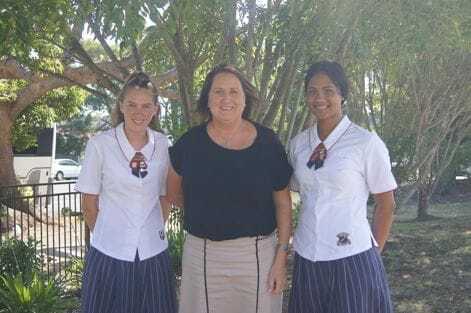 What is the nature of your College All Girls, Catholic in the Mercy tradition, Systemic - run by the Toowoomba Catholic Schools Office, 7-12, day students and boarding. Definitely the girls. They are so full of life and spirit and have an energy that is contagious. Excellent teaching staff, who are dedicated to student success through quality teaching and learning, and nurturing right relationships. Our diversity: as well as a strong contingent of local families, we enjoy the fruits that come with accepting students from other cultural backgrounds, including Papua New Guinea, and rural and remote Australia. Having attended the College myself for all my secondary schooling, I am proud of the education I was privy to, and the fact that so many intelligent, upstanding and influential women continue to be borne out of a St Saviour's education. The rise of secularism and families opting out of a Catholic education for this reason. A fathomable loss of faith in Australian Catholic Education system after a number of cases presented at the Royal Commission into Institutional Responses to Child Sexual Abuse. Where is your College located in relation to the Capital of your state/territory Roma is six hours west of Brisbane. Where is your College located in relation to the Capital of your state/territory St James College is situated on the fringe of the CBD in Brisbane city, adjacent to the inner-city suburb of Spring Hill. 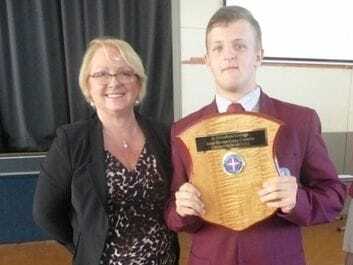 What is the nature of your College The College is a Co-educational Secondary Catholic College in the Edmund Rice Tradition (EREA), catering for students from Years 7 12. 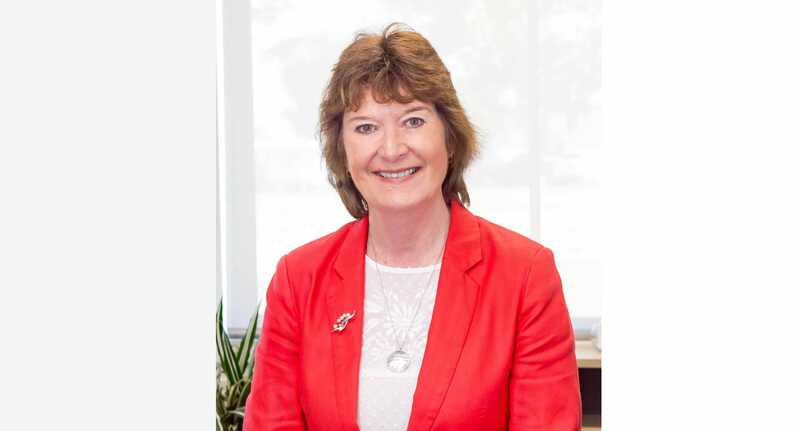 What was your role prior to taking up this appointment Principal of McAuley Catholic College, Grafton, NSW.